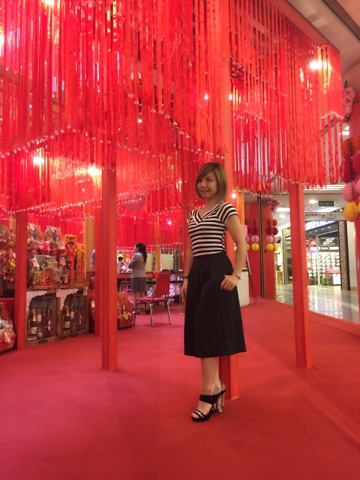 1 Utama is also the 6th largest mall in the world has brilliant lanterns hung outdoors and around the mall, in the bejeweled tassels adorning the walkways and in the bright ribbons and decorations that shout prosperity and exuberance. 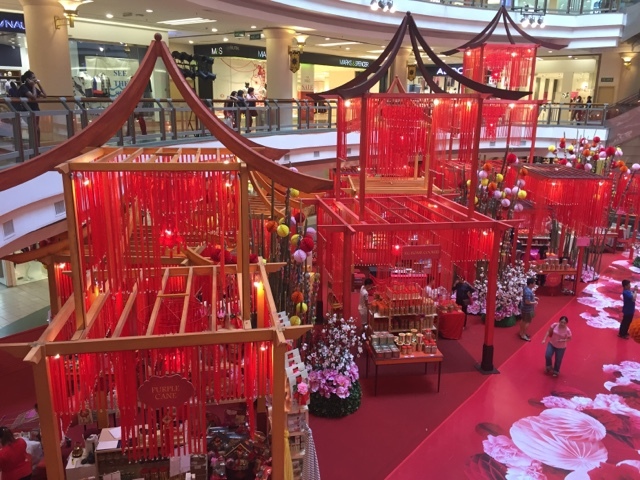 Wooden towers with tall oriental structures and arches are built to house 36 festive shopping kiosks for visitors to shop and walk about. 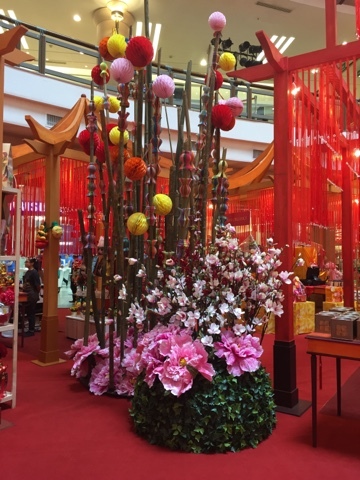 The festive mood is further set with real bamboos, a kaleidoscope of colourful honeycomb paper lanterns and bouquet after bouquet of giant peonies and flowers to mimic the floral spring time lunar season. 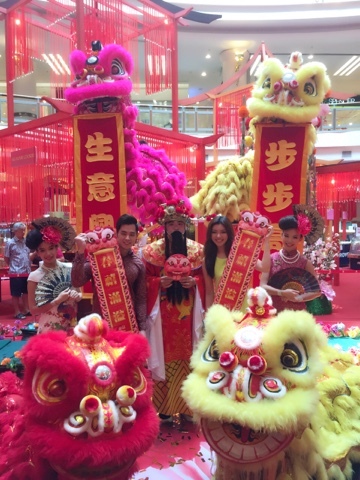 Beside shopping, don't miss out the exciting cultural performances lined up. 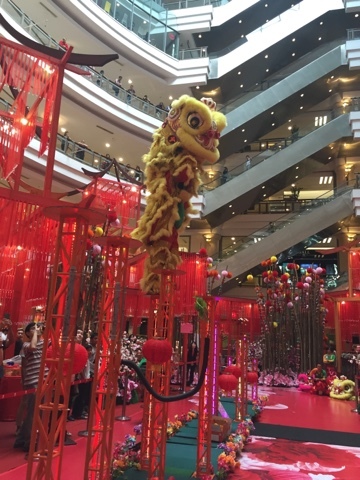 1 Utama has also invited three famous lion dance troupes to perform throughout the month, which include Hong Teik Acrobatic Lion Dance 2015 National Champion, Kun Seng Keng Acrobratic Lion Dance and Khuan Loke Acrobatic Lion Dance. From 16 January - 10 February 2016, shoppers can redeem a set of complimentary Angpow Packets with a minimum spend of RM300 or a pair of Fortune Table Mats with a minimum spend of RM800 (RM600 for ONECARD members) at any ONECARD participating outlet. 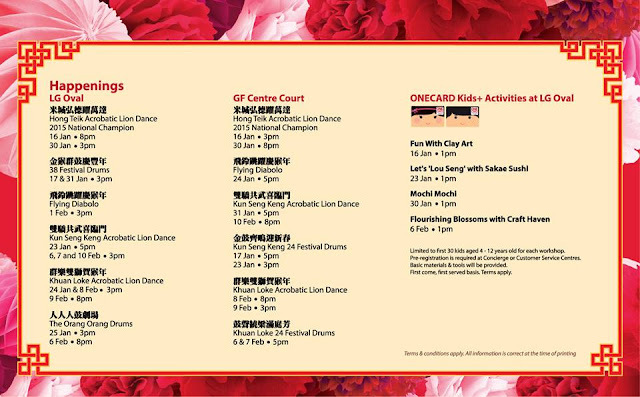 Additional Fortune Pick exclusively for ONECARD members too. 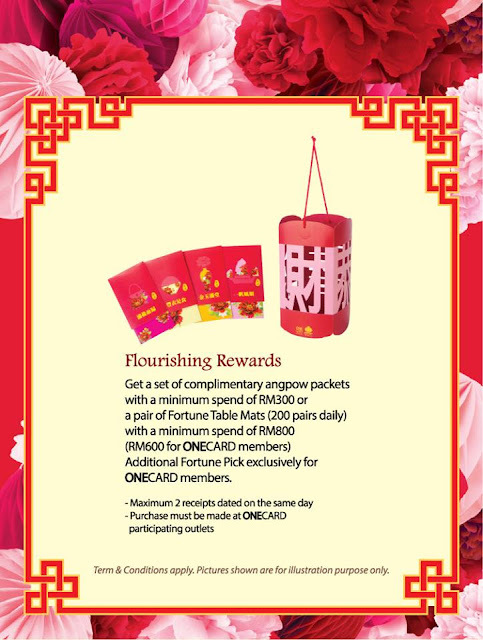 ONECARD members can enjoy an Angpow rebate of RM10 in UPoints per member per day when you spend an accumulative purchase of RM300 on the same day. *Maximum of 5000 (RM50) UPoints per member throughout promotion period. And that's not all! 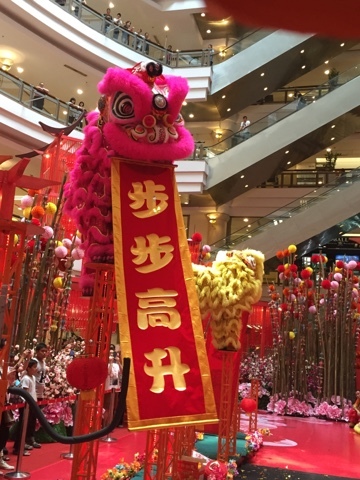 From 23 - 25 January 2015 , ONECARD members born in the Year of the Monkey will get an extra RM5 UPoints rebate with minimum spending of RM300 in accumulative receipts. *Maximum 500 UPoints Rebate (RM5) per member throughout promotion period. Bring home exclusive Angpow Packets with holder (minimum purchase of RM300) or an additional festive Serving Pot with Coasters (minimum spend of RM600) with maximum combination of two receipts on the same day for Maybank cardmembers with a credit/charge card issued by Maybank Malaysia, Singapore, Indonesia or Philippines. In addition, enjoy free entry at Platinum Parking (10am-11pm) on a first come first serve basis. 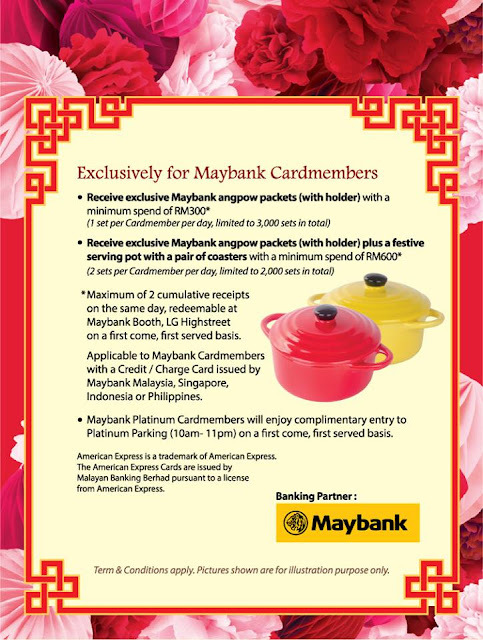 *T&C apply, max 2 pot sets per card member per day limited to 2,000 sets in total, max 1 set of Angpow per cardmember per day, limited to 3,000 sets in total. 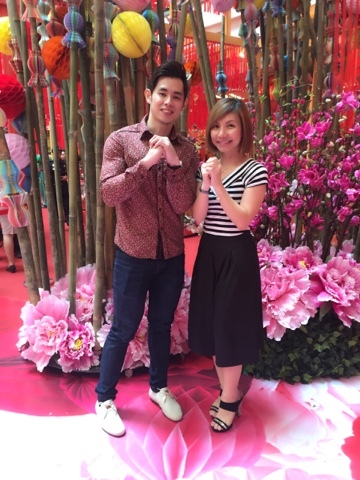 Jordan Yeoh and Caryn Ng special appearance. 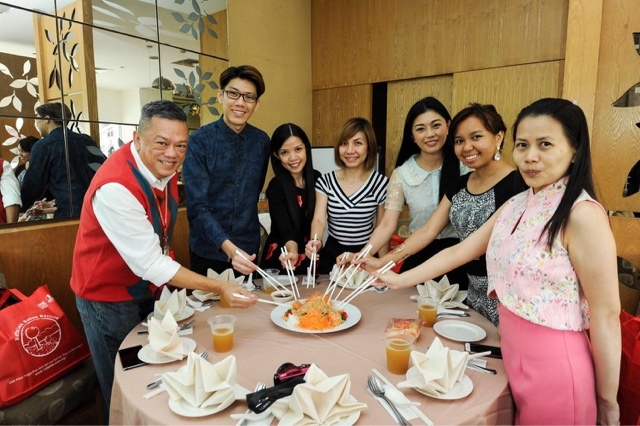 Yee Sang tossing with 1 Utama.